The NFL seems to be in a test pattern. On Monday, the league announced that it will make next season’s match-up between the Buffalo Bills and the Jacksonville Jaguars available exclusively via the internet outside of the teams’ home markets, rather than on national television. That was followed by an announcement that the league will suspend its local TV blackout rule for the entire 2015 season allowing games to be shown in their local markets even if the game is not a sell-out. The league described both moves as tests, although what exactly is being tested in each case was left a bit vague. The Bills-Jaguars game is a one-off, and a low-risk one at that. The game was set to be broadcast by the NFL’s own NFL Network, so there were no pre-existing rights deals to renegotiate, and involves two struggling teams with little national following in a game to be played in London and shown in the U.S. at 9:30 a.m. Eastern Time. Even if the test is a disaster the damage will be limited. The season-long suspension of the blackout rule is also a baby step. The FCC last year repealed the federal regulation that had undergirded sports blackouts on broadcast TV, although as a rights owner the NFL was free to continue to enforce it, which it did through the 2014/15 season. The league has been under intensifying pressure from members of Congress to eliminate the rule, however, including occasional saber-rattling over the league’s tax-exempt status. Eliminating the blackout rule, even if only for a season, takes some of the heat off the league at a time when attendance at NFL stadiums has been on the upswing anyway. Still, it’s a good time for the NFL to start testing different broadcast arrangements. Its current broadcast deals, with CBS, Fox, ESPN, DirecTV and Verizon (for in-market mobile streaming) are all long-term and have several years to run, giving the league something of a safety net as it experiments. But the market is changing rapidly and the league may need to respond before its current deals expire. One thing it probably needs to figure out sooner or later is whether to allow its current broadcast partners to include NFL content as they make their linear channels available over-the-top, either directly, as with CBS All Access, or as part of third-party streaming platforms, as Apple is currently trying to negotiate. Big-time sports today is supported almost entirely by TV money, making broadcast rights the single most important element of the sports business. At the same time, the broadcasting business is increasingly dependent on live sports to hold on to real-time viewership and the advertising dollars it commands. As the definition of “broadcasting” shifts, however, the pressure to redefine “broadcast” rights increases. The broadcasters, who have paid billions for those rights over several years, are obviously anxious to define the scope of those rights as expansively as possible. With deep-pocketed OTT broadcasters like Amazon’s Twitch and Google’s YouTube starting to attract traditional broadcast-size audiences, however, sports rights owners are reluctant to foreclose the emergence competitive bidders by keeping “broadcast” rights locked up with legacy broadcasters. Understanding how old and new broadcast channels affect each other, therefore, is a matter of growing urgency for the league. 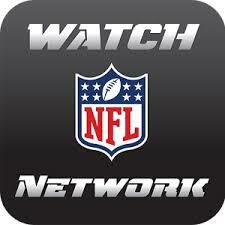 Notably, the Bills-Jaguars game will not be streamed by the NFL itself or the NFL Network. Instead, the league is putting the streaming rights out for bid, presumably to see who among the emerging OTT broadcaster will show their hands, at least in a low-stakes game involving an early-season match-up between middling teams being played overseas. The league also no doubt wants to see what advertisers might show up for a non-Super Bowl-size event. What’s being tested, in other words, is not so much actual viewer behavior, which isn’t likely to be meaningful in any case given scant national interest in the game, but the responses by the NFL’s broadcast partners, potential partners and advertisers. NFL football fans will watch the games regardless. The live-streaming test and the blackout suspension are about the action off the field.